French supermarket giant Auchan has announced that it is going to implement blockchain-based food traceability solution in five countries. Auchan has joined TE-FOOD’s FoodChain to provide transparent product history information to its consumers. Founded in 2016, TE-FOOD is a whole-chain traceability solution, covering all logistics and food safety activities and data management of the supply chain. The solution has the largest farm-to-table food traceability program in Vietnam, where more than 6000 companies are using it, including international food conglomerates like AEON, CP Group, Lotte Mart, Big C, Japfa, or CJ. 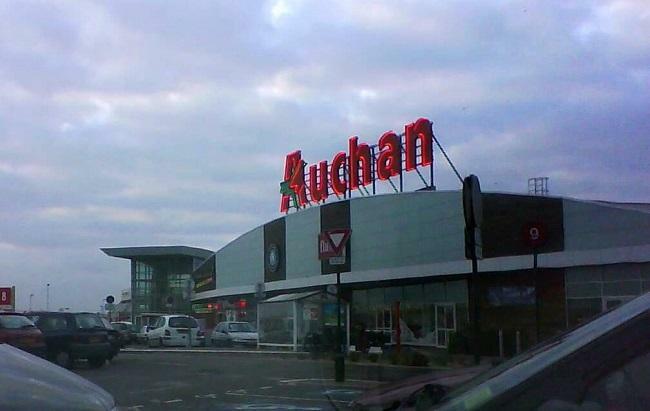 Auchan said that it has decided to implement the blockchain traceability solution in five countries – France, Italy, Spain, Portugal, and Senegal – following a pilot period spanning 18 months. In each country, the system starts tracking selected product categories from farm-to-table, registering all important food quality and logistics related data. “Recently, the system debuted in France for organic carrot, followed by a roll out to potato and chicken in December 2018 and February 2019. Soon, Italy will join with tomato and chicken, Spain with Iberian pork products and locally grown exotic fruits, before implementing it for the chicken supply chain in Portugal and Senegal,” the official release said. Auchan customers will be able to view a product’s history by simply scanning the QR codes on the products using their mobile phones. The authenticity of the data will be verified on the FoodChain, TE-FOOD’s global traceability information ledger. A number of global food giants are exploring blockchain potential to improve transparency in the food supply chain and boost the trust of consumers.